It's a very good texture, but I think that you should make some improvements. 1. The color of potatoes_stage_3 is too similar to farmland_wet,which makes me can not recognize them easily. 2. You should add textures of water and some new kinds of stones. Thanks for your feedback, it's always appreciated! 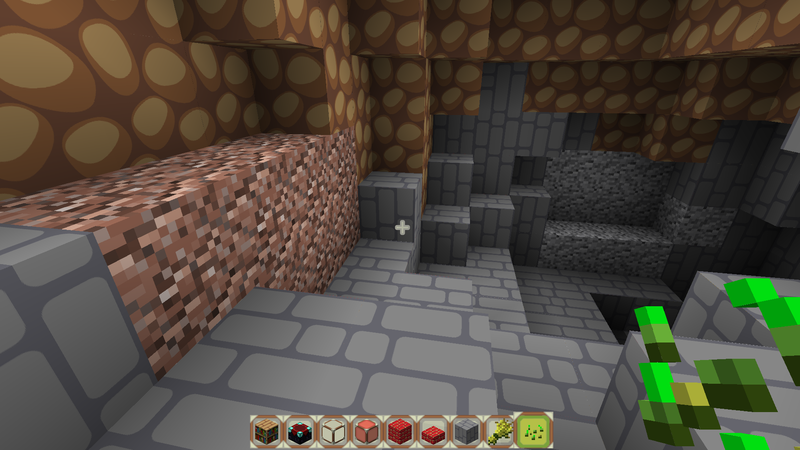 The whole texture pack uses a color palette, meaning I have a very limited selection of colors to use. But, since you bring it up, I could work on finding a different set of colors for the potatoes. Perhaps turn them into red potatoes? And the other stone types are on the way, don't worry! I'm not sure how soon I'll have a water animation, however. Water is very difficult to do. I really want you to update this resource pack. Any updates? I really love this pack and would love to see updates.. I'm sorry to disappoint, but I haven't been working on this pack for a long time. I've moved on to other projects, so I don't see me updating this any time soon.